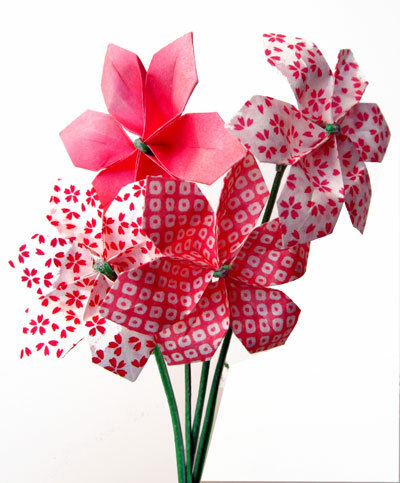 December's origami model is a colorful flower that represents the beautiful poinsettia plant. This plant is indigenous to Mexico and named for Joel R. Poinsett, who introduced the plant to the United States. He was a botanist and the first US Ambassador to Mexico. The poinsettia is particularly well known for its red and green foliage, although there are more than 100 varieties, some of which feature pink, burgundy or white foliage. Some even come in speckled or marbled colors. The plant is widely used in floral displays for the winter Holidays. The showy colored parts of the plant that people think of as the flowers are actually modified leaves called bracts. 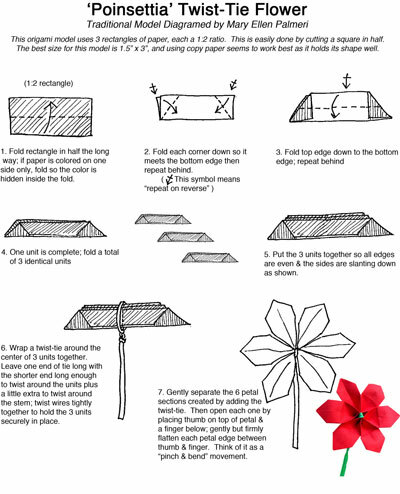 The traditional twist-tie origami flower is made using 1:2 rectangles which are easy to make by cutting small squares in half. To start, the best size to use are pieces 1.5" wide by 3” long, easily cut from 3” squares. Red or white papers are great for the poinsettia, but the same flower can be folded for a Spring bouquet using pastel colors, or strong bright colors to evoke Summer blossoms. Variations: Experiment with colors, using two or three different colors in a single flower. 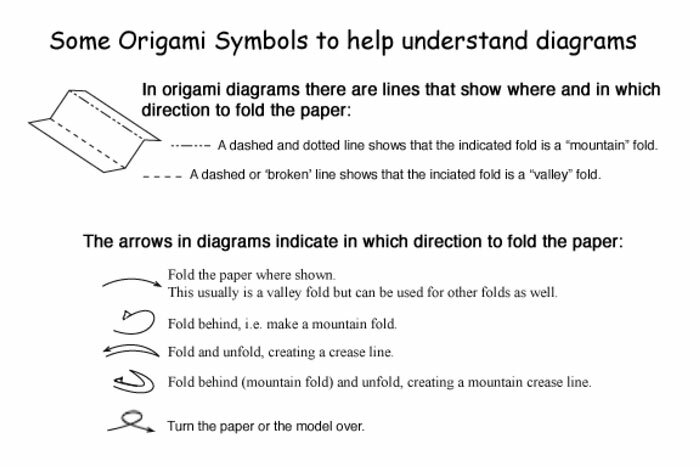 Or color your own paper to create a custom or variegated look. How about making a green version using only 2 units to get a 4-leaf clover? If you make several twist-tie flowers you can twist the stems together to create a strand of flowers, or even a ring of flowers. If you want smaller, more delicate flowers, use the same 1:2 proportion in a smaller size and a thinner wire. You can cut a twist-tie thinner by removing excess paper on either side of the embedded wire.